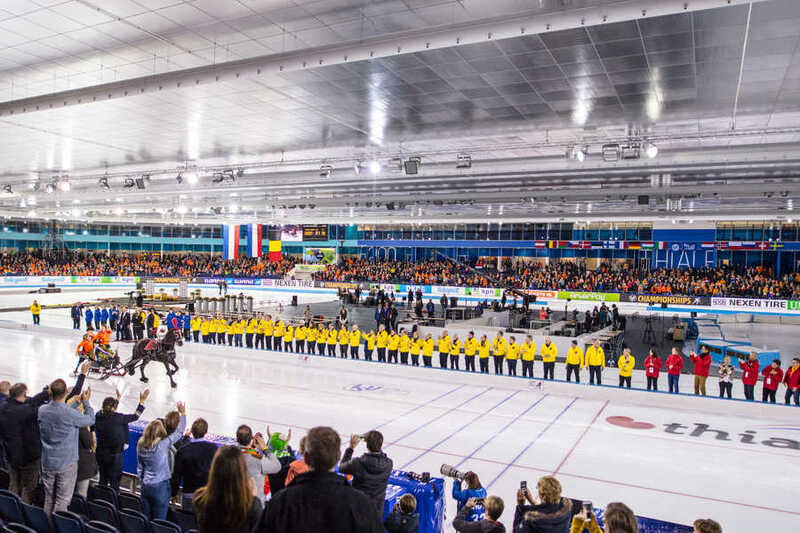 For the Dutch, skating is not just a sport; it is an event that opens their hearts. 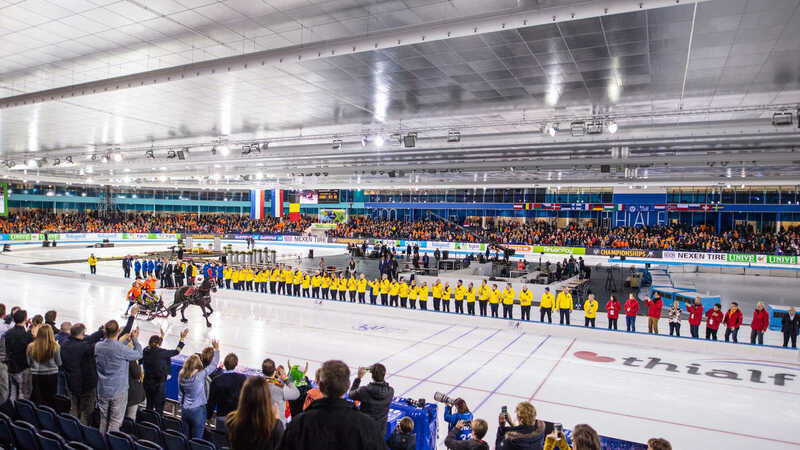 Skating competitions in ice arenas are emotional events where excellence is applauded but also record times are compared. 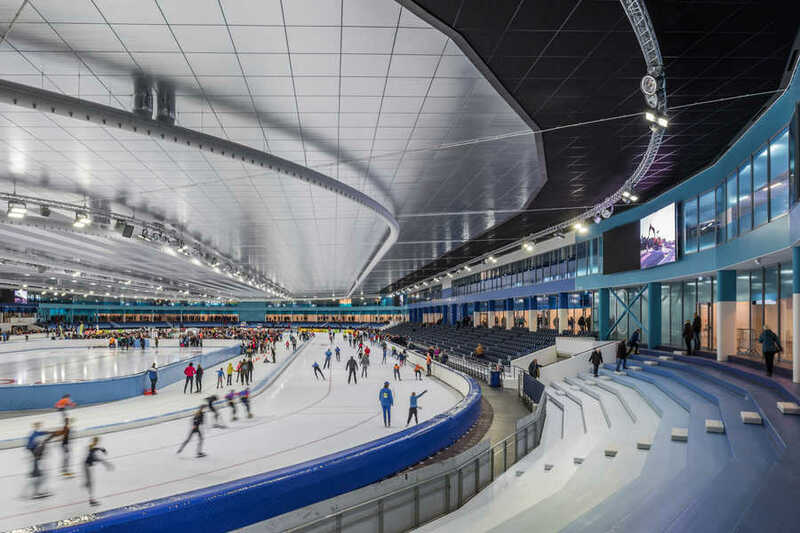 High-altitude arenas posted faster times, which urged Thialf, being a lowland ice arena, to improve performance. For this reason, from 1986 on, all its competitions were held under its newly closed roof. 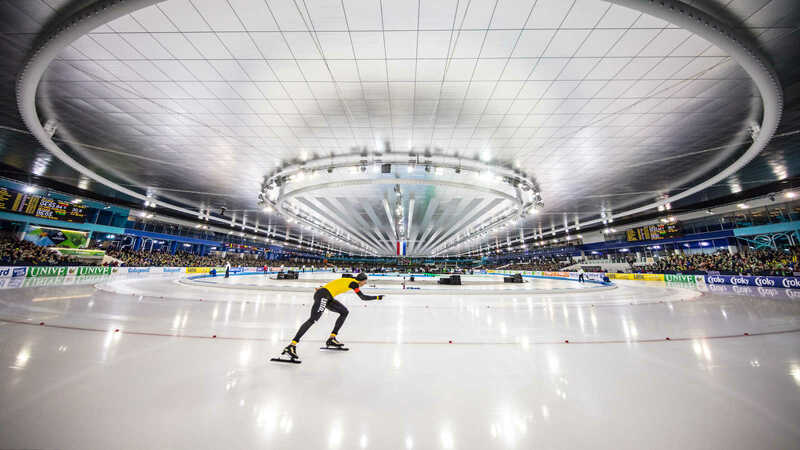 Still, the conditions in high-altitude arenas were more favourable for top times and in 2014 Thialf decided to optimise all its facilities. 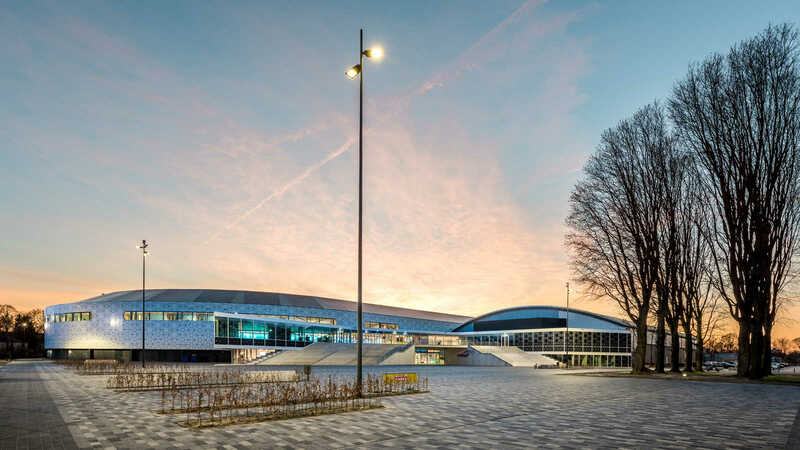 After two years of renewal, Thialf is again the fastest, most sustainable and modern lowland ice arena. 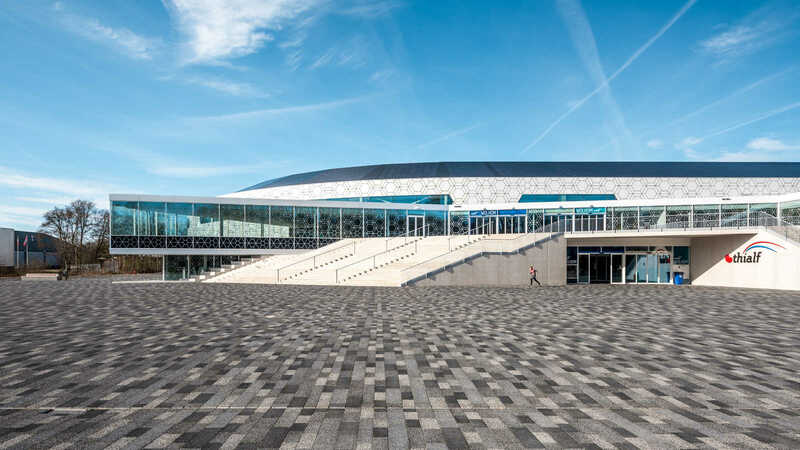 The dynamics of entering Thialf are expressed in the design of the entrance. 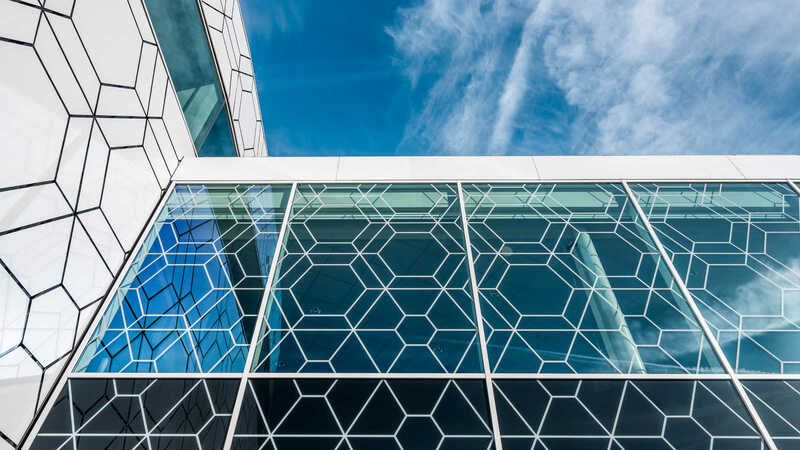 Two 'arms' of glass extend outwards to embrace the stream of visitors. 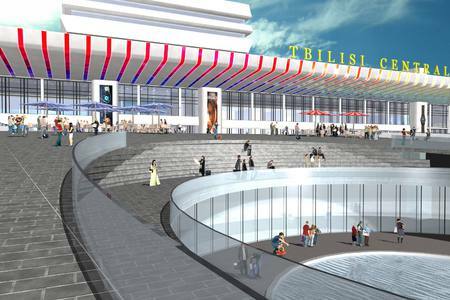 Inside, a promenade is the connecting element of all functions. 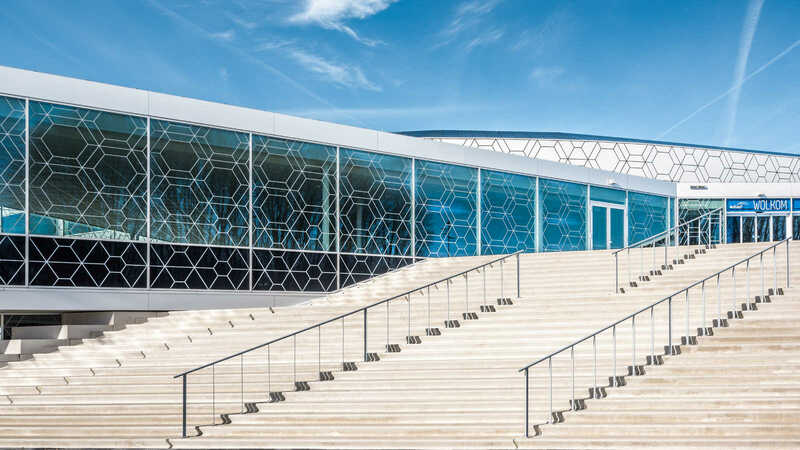 During events, all visitors can easily access all the stands via this promenade. 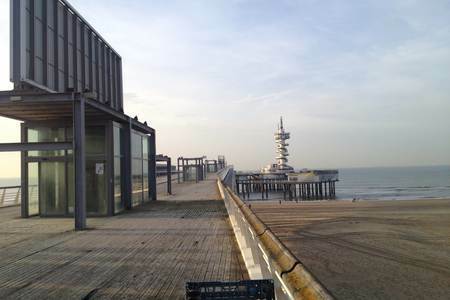 Serving points and public meeting places are located along the promenade. 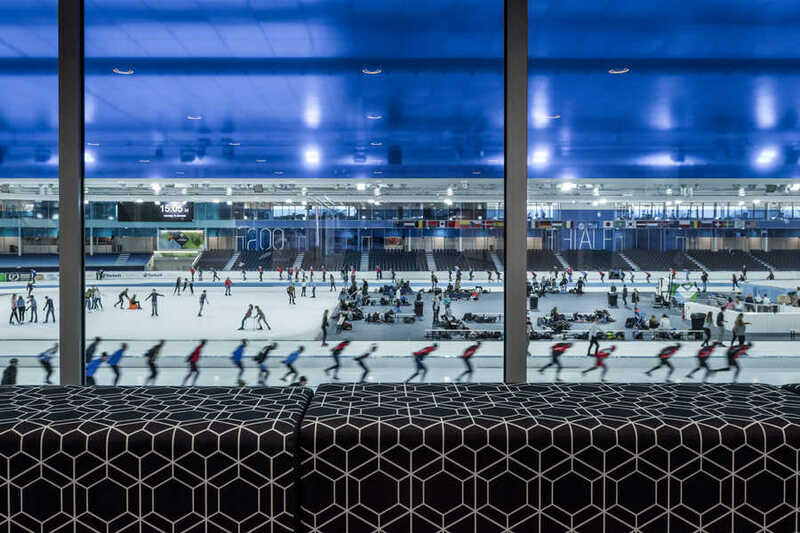 Its glass wall increases the interaction between athletes and the public, in this way contributing to an all-round sports experience. 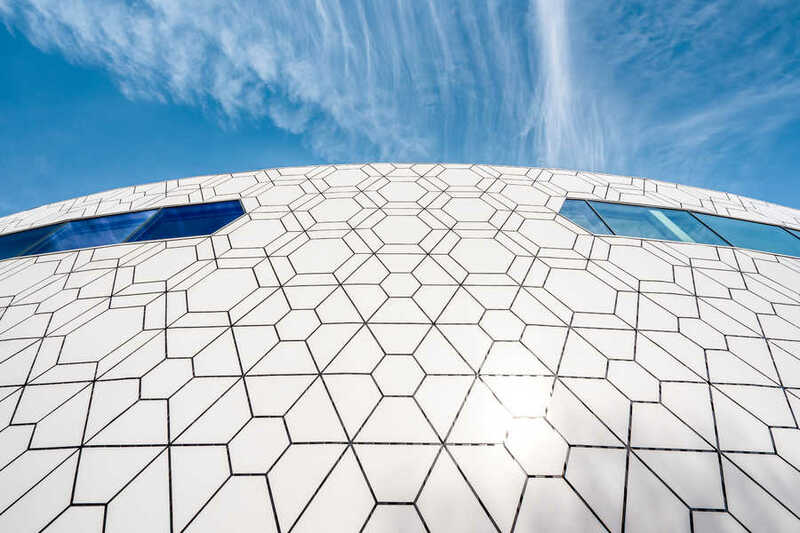 While the promenade inside makes meaningful connections, it also isolates the competition area from outside, thus allowing for a better indoor climate. Moisture, brought in by the wet coats of spectators, is absorbed and filtered out. In the past, the moist condensed on the ice and reduced the speed of skaters. 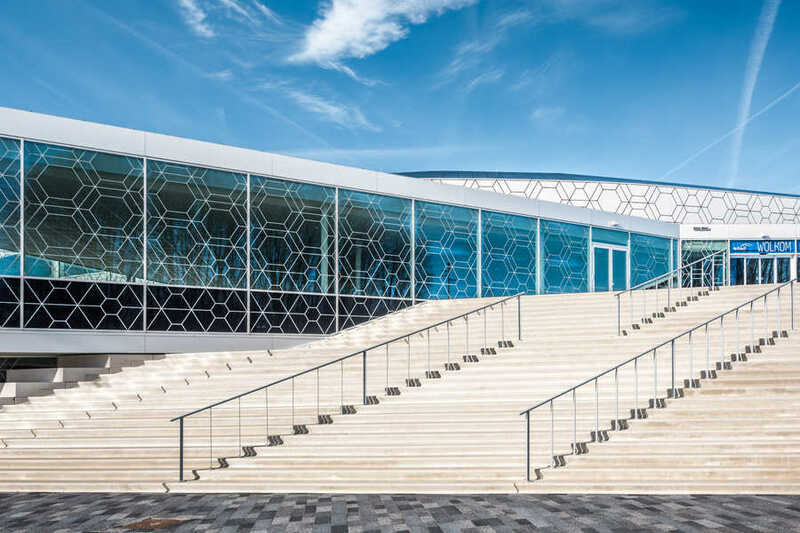 By including an air curtain between the public and the competition area, and separating the promenade - each with its specific thermal conditions - the temperature and humidity can easily be managed separately. 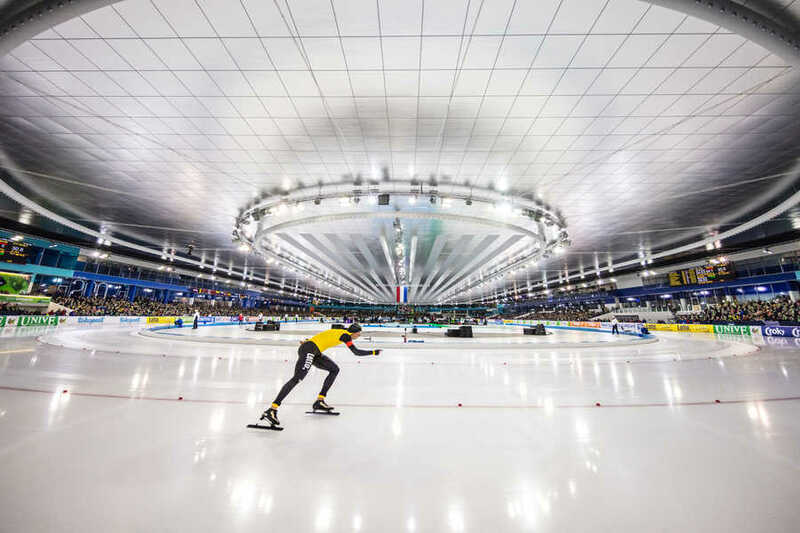 Moreover, the ice temperature can be tuned to the precision of the tenth degree and adjusted for each track section. 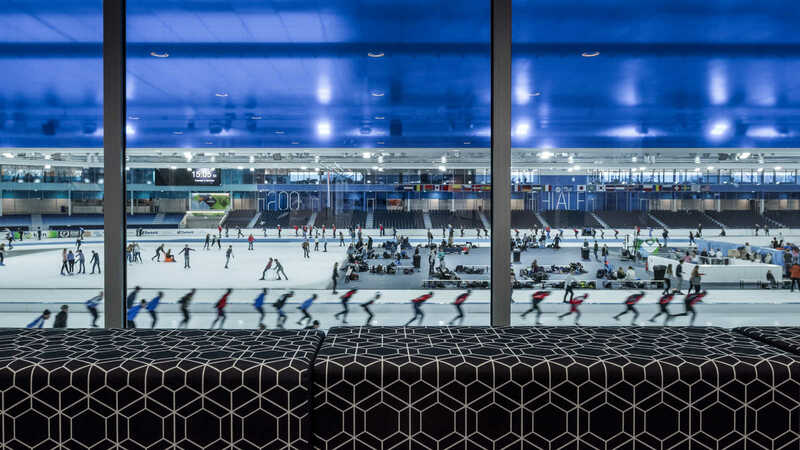 In the renewed ice arena, top athletes have access to the fastest ice and the best 400-metre lowland track. 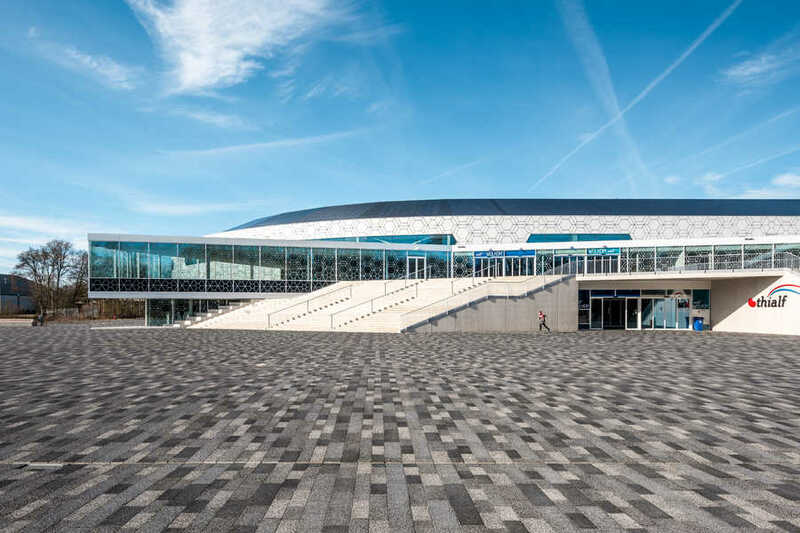 The renewed Thialf is an extension of the oval structure of the existing building. 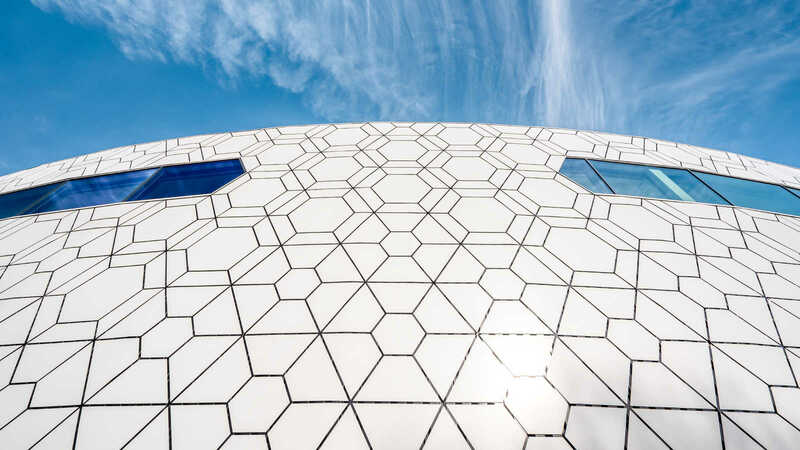 To preserve what still can be used is a contribution to sustainability. 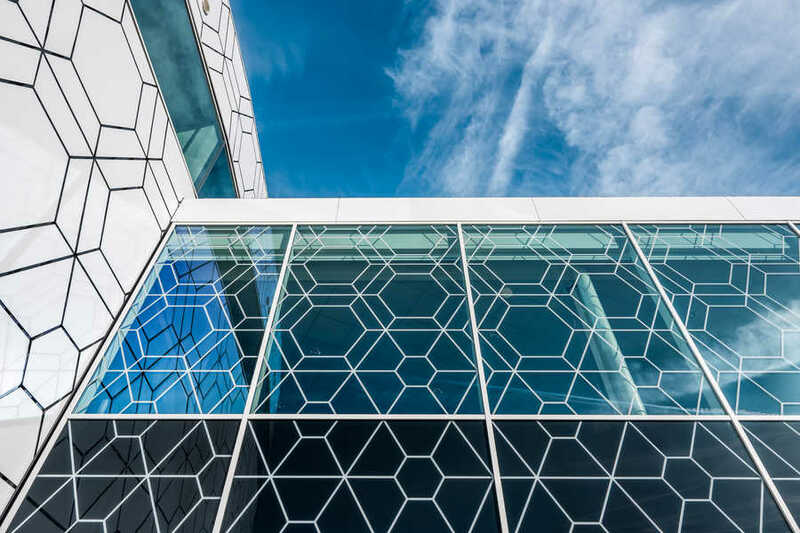 Initially, it was the intention to reduce energy consumption up to 50%. 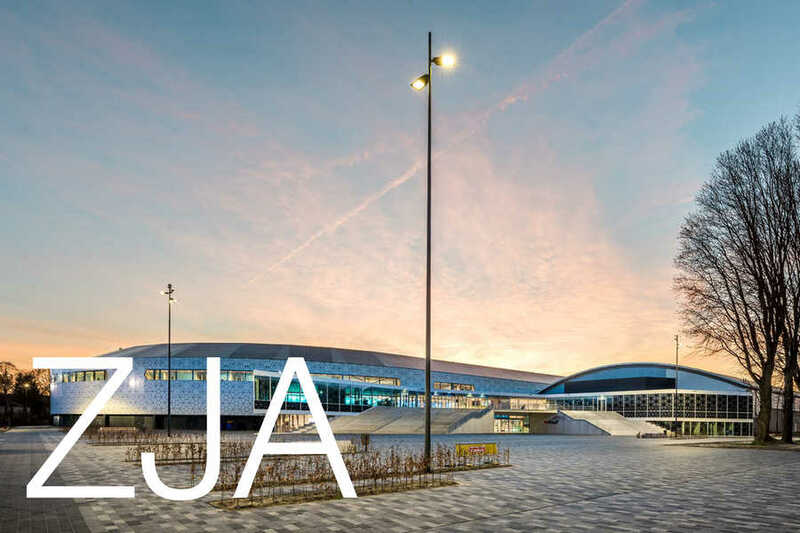 A high level of thermal insulation, the application of underground heat and cold storage, as well as LED lighting, contribute to an energy reduction of more than 50%. 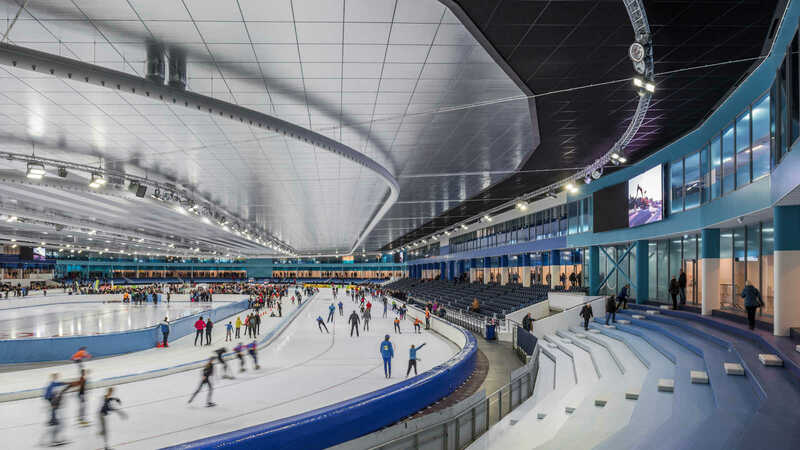 Thialf not only uses but also produces energy by means of 5000 solar panels on its roof. It has the intention to fully provide for its own energy needs within 5 years. 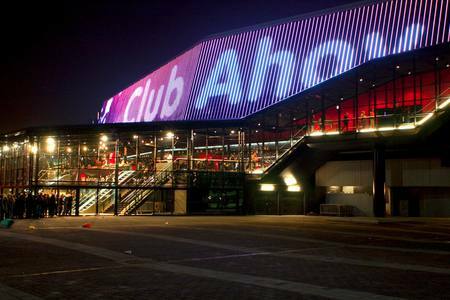 It will then also provide enough energy for 1,250 households. 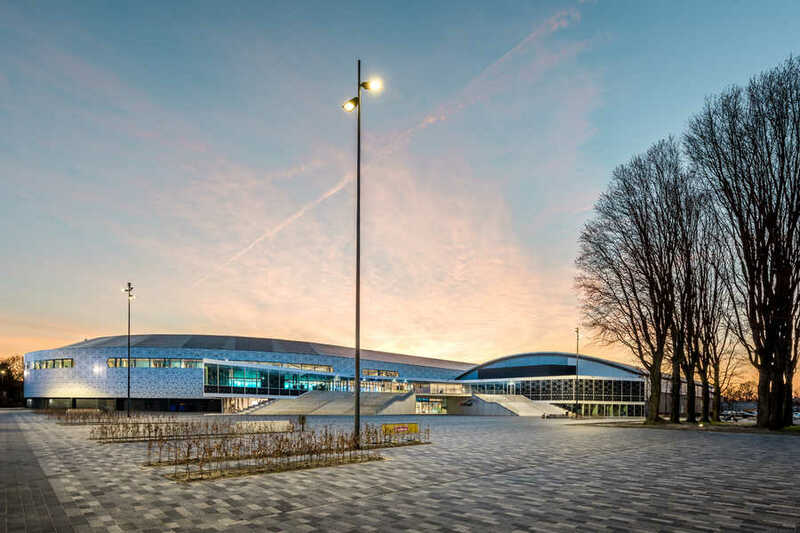 At this moment, the ice arena has the largest sunroof of all stadiums in The Netherlands and is the most sustainable ice arena in the world.